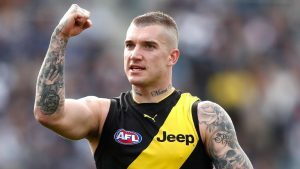 AFL Season 2018 is about to start this Thursday and once again Sportpunter will be providing their predictions for every game. The sportpunter AFL model has been one of our golden models. Season 2018 will be the 20th year that we have made predictions for AFL, and over that time we have suggests 2595 bets at a rate of 9.6% POT betting head to head, and have suggested 1859 bets at 10.3% POT betting the handicap. We’ve also shown previously that the early rounds are the rounds that are most profitable, so make sure that you are fully signed before the season starts. Please note that any signups on the Thursday will most likely miss the first round, so make sure you have signed up by this Wednesday. Best of punting luck, and here’s to hopefully another successful AFL betting season.